A number of weeks a year we rent our 6-person camper. The camper is fully equipped, fully furnished and easy to control. The camper has a 2.8 JTD engine (Fiat) that you drive up into the mountains with ease. 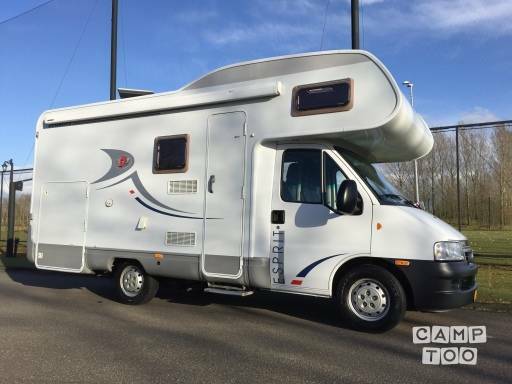 The camper is below 3,500 kg and can be driven with a B license.